So you’ve chosen Sri Lanka for your romantic getaway, be it for Valentine’s day or to celebrate your anniversary. 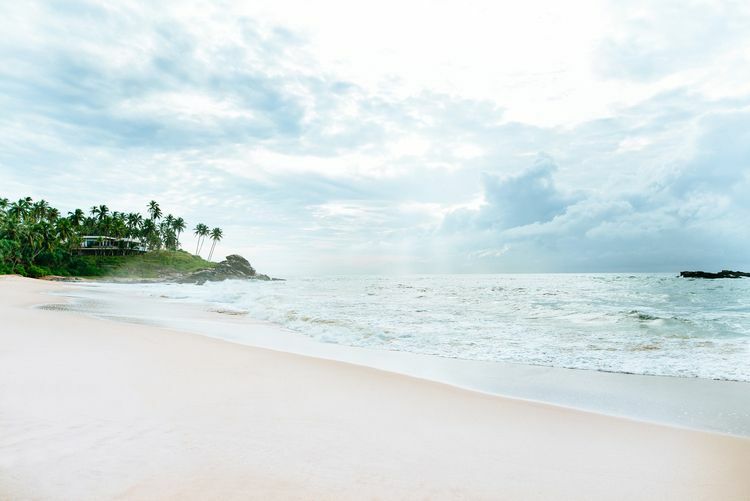 Let us guide you to the best beaches for romancing in Sri Lanka. 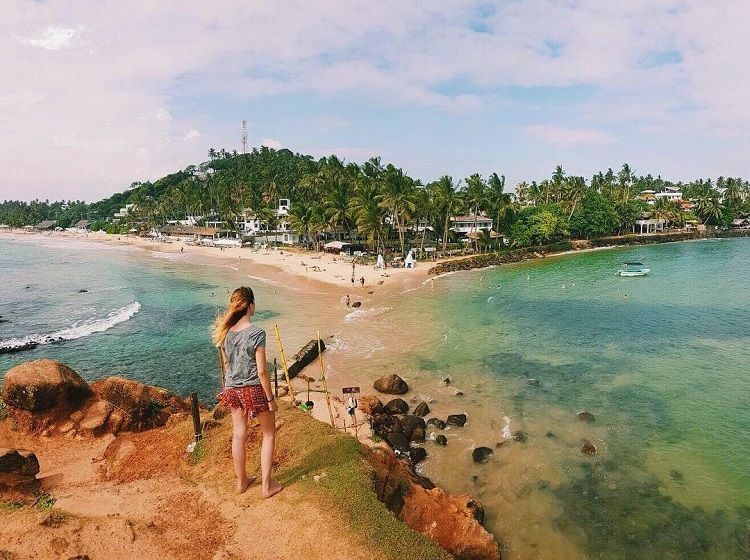 Bentota beach, also called Ventura beach, is ever famous among foreigners and locals. The beach is wide and long for you two to hold hands have a leisurely walk. Not only that, Bentota river affords kayaking, boat trips through mangroves. There are opportunities to participate in kitesurfing, jet skiing, scuba diving, snorkeling and many more. The beach area in front of the Railway station tends to be crowded especially on weekends hence move towards north on the beach to enjoy seclusion. There is a small temple in the woods at the tip of the panhandle where you can gaze upon glorious sunsets by standing on the cliffs. 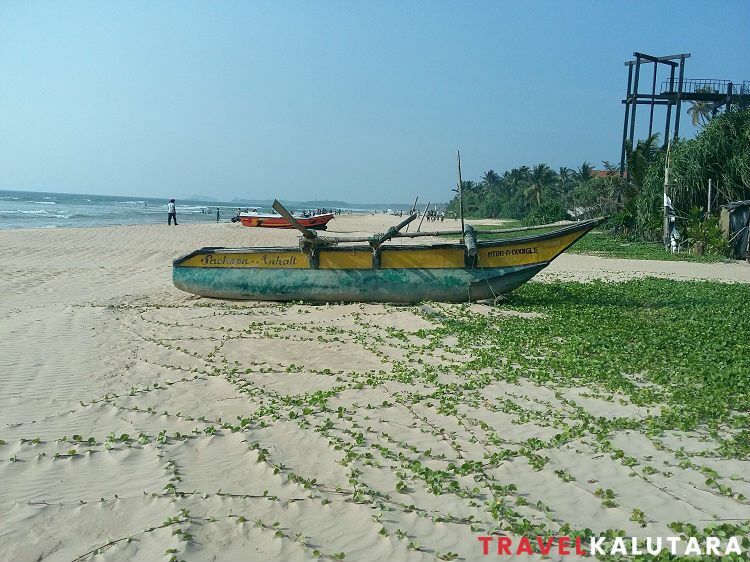 You won’t see Kalutara in many lists which best beach destinations in Sri Lanka are mentioned. It is an underrated west coast beach destination that many tourists tend to overlook. 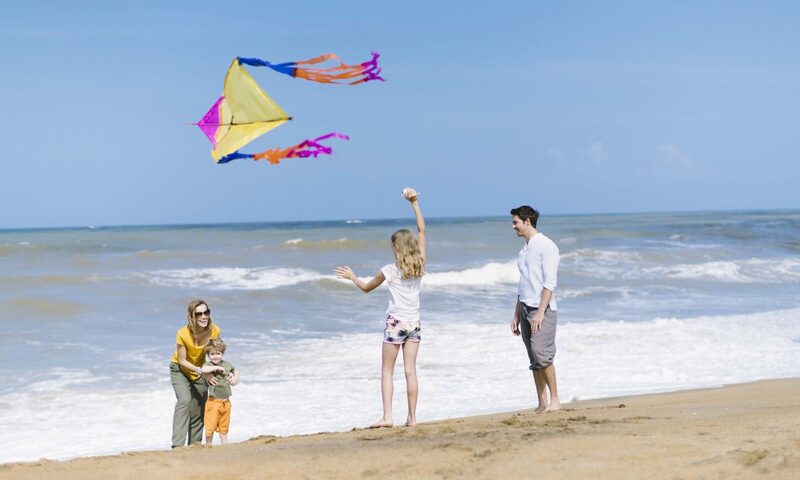 Our Attractions section bears testament to the fact that Kalutara has a lot to offer to the ardent traveller. 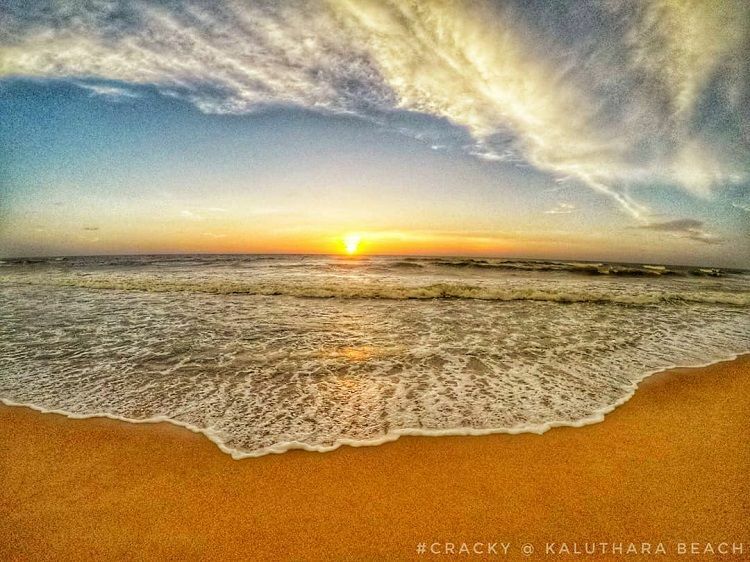 Starting from Wadduwa, the palm-fringed golden sand beach stretches miles towards Kalutara to meet the Kalu River at the heart of town. Even though the sea could be rough for any water-activities but you can enjoy the solitude of your romantic gateway. The Kalu River offers perfect insta-moments too. Kayaking in almost still waters blessed by most revered Kalutara Bodhiya and Chaithya (The white pagoda that is the pinnacle of the city). Even more perfect, luxury resorts in the area like Anantara Kalutara Resort offers sunset boat cruises on the river which would be a perfect opportunity to rekindle your bonds. 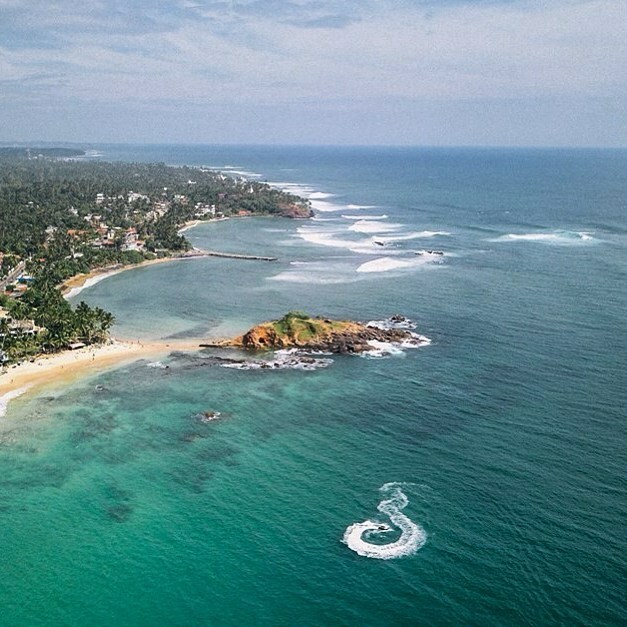 Moving down south past fort city Galle about 40 km will get you to famous surfing destination Mirissa. 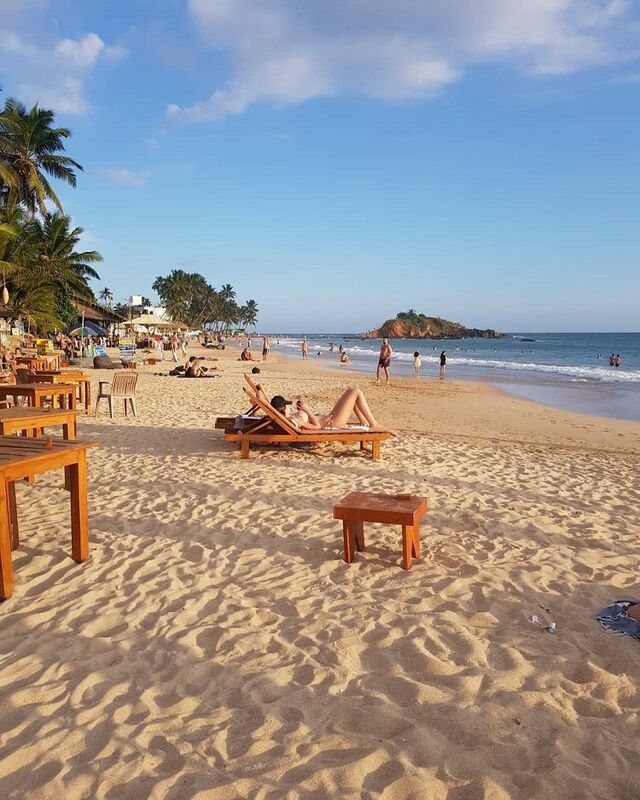 Since it has been developed gradually into a tourist destination Mirissa has some fabulous restaurants and boasts a happening nightlife. The most famous show in the town is, however, whale and dolphin watching. There are local tour operators who take people into the ocean for few hours to watch whales and dolphins. It is recommended to consult your accommodation provider to arrange this trip for you. Mind you the sea can be rough hence be ready for seasickness. 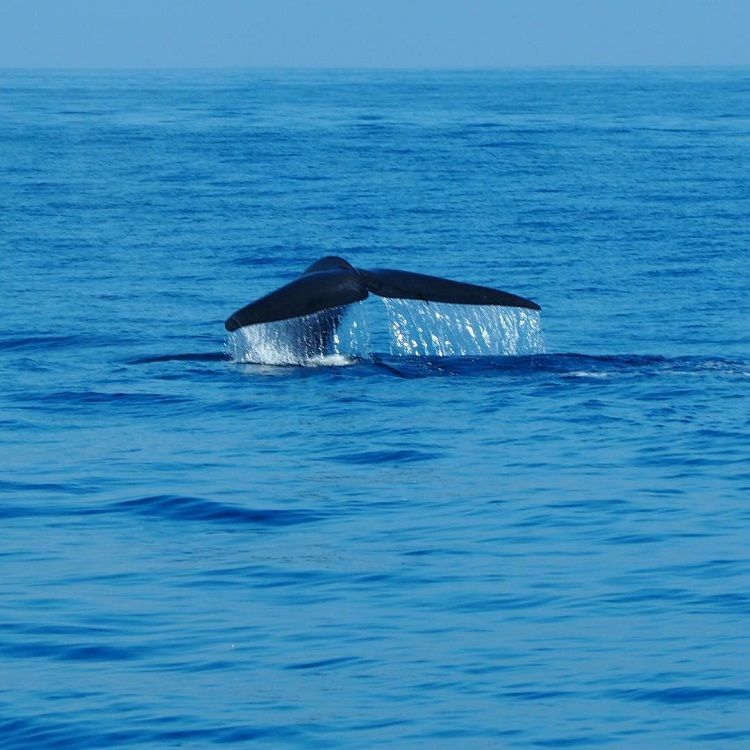 The perfect period for whale watching is from November to March. Don’t forget to explore the Rock Island, If the tide is low you can walk towards the island with ease and climb a little bit to reach the platform to capture that perfect click of the Indian Ocean sunset and the surrounding bay area. 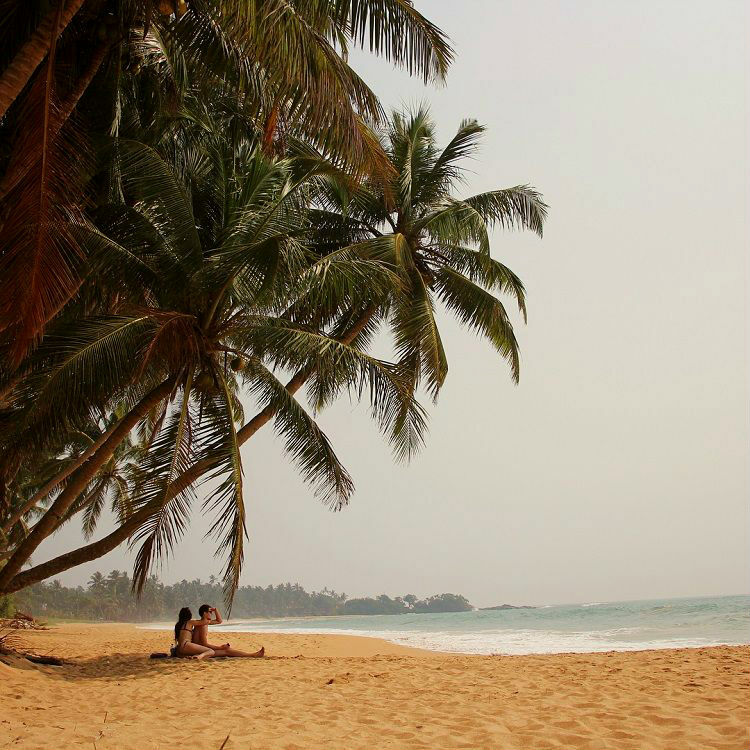 Tangalle is an emerging tourist destination and it’s perfect for a secluded beach vacation for a couple. 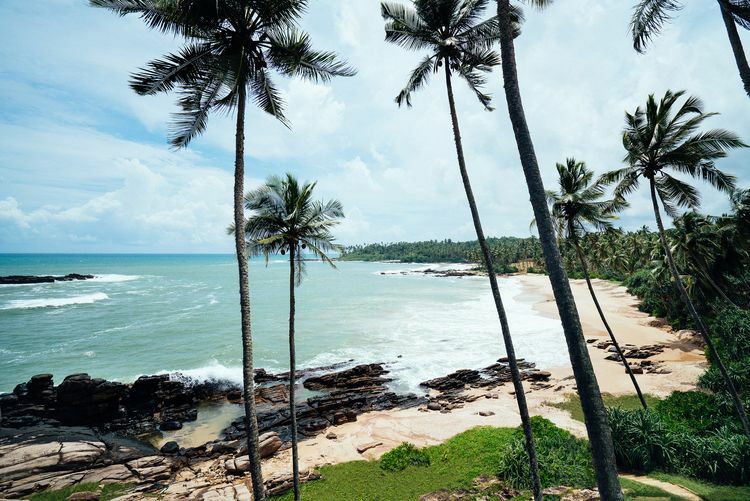 Far away from chaotic tourists and city atmospheres, Tangalle is adorned with blue waters and tranquil almost white beaches. Rekawa and Goyambokka beaches are well known for turtles and coves respectively. Even though the Tangalle is off the beaten path It has an infrastructure to support the tourism in the area. 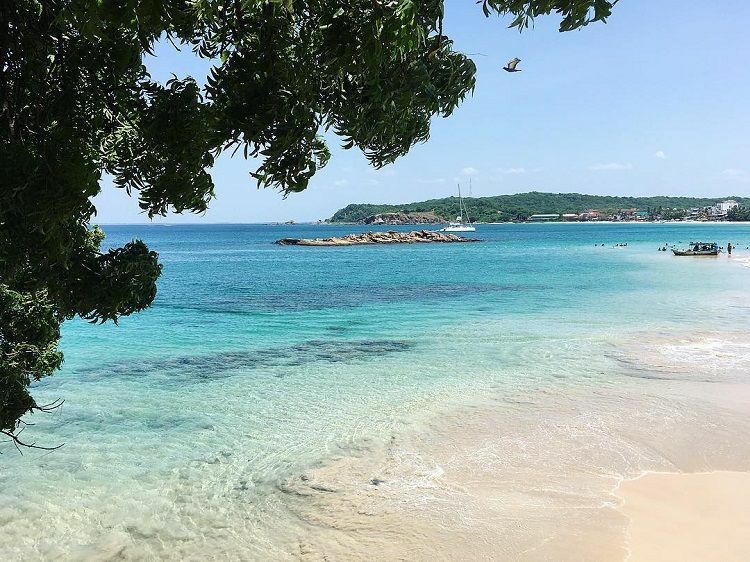 In these tranquil shores, you’ll have the chance to have it for yourselves. 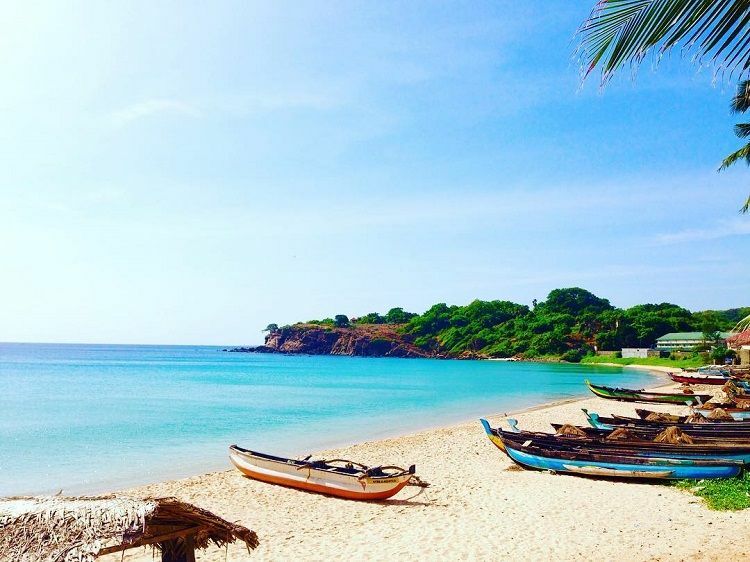 Nilaveli beach, located 16 km from Trincomalee city. The only east-coast beach we have included here is Trinco. That is not to say the east coast doesn’t have resplendent beaches. (Arugambay, Pasikudah anyone?) 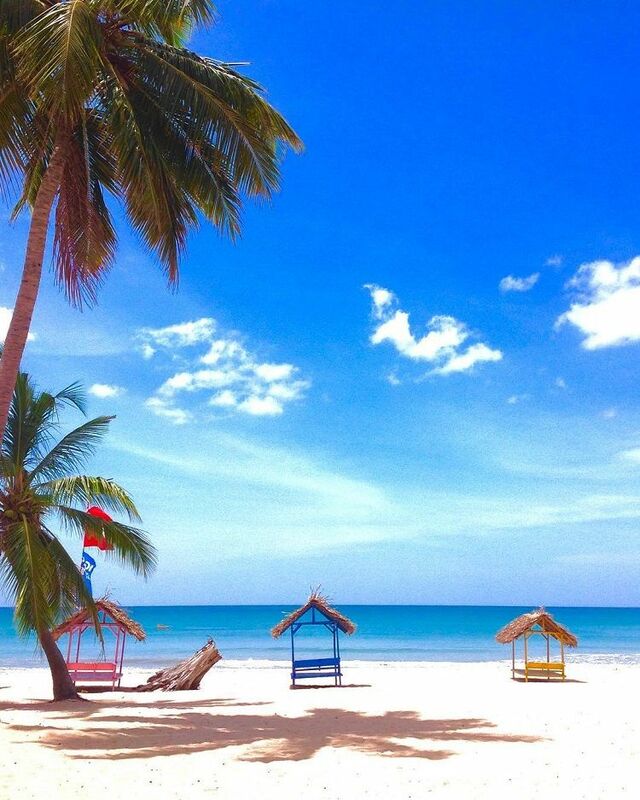 Trinco is the best out of those, White sandy beaches, turquoise waters that perfect for swimming and snorkeling. We recommend you visit Nilaveli, Uppuveli and the pigeon island marine national park.